Vastrapur Lake, Vastrapur, Ahmedabad, India 380015. 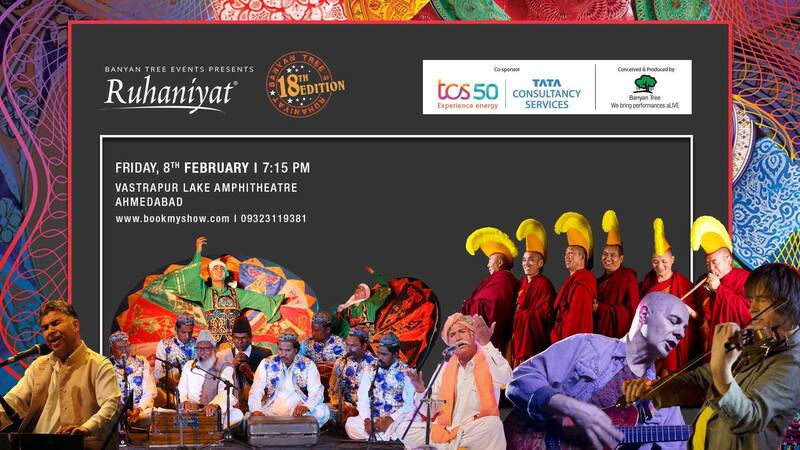 More than a concert, Ruhaniyat brings to the audience an experience emerging from the combined power of music and spirituality; opening the hearts, and minds. Conceived and curated by Mahesh Babu, Managing Director of Banyan Tree Events, Ruhaniyat is a movement of sorts; a journey towards Peace, Harmony, Universal brotherhood, love and, towards the Self. However more than anything else it connects all who believe in the power of unconditional love, total surrender of ego and unity of all. It rekindles our faith in the ancient wisdom that talked of Vasudhaiva Kutambakam – all universe is one family.